When showing maps in Google Chrome, the browser crashes completely after a while. If I reload the dashboard manually with F5, it is shown correctly again. However, I do not encounter this problem with dashboards when using Firefox or other browsers. Why do these crashes happen and what can I do? While showing your PRTG maps as web pages in Google Chrome, your web browser might crash regularly. This error is caused by a memory leak in Google Chrome that comes along in combination with hardware acceleration. At some point, Chrome runs out of memory and, thus, crashes. In order to avoid this bug until Google provides a fix, you have to disable hardware acceleration regarding the Graphics Processing Unit (GPU). Please see the following steps for a workaround. How can I check if I'm affected? 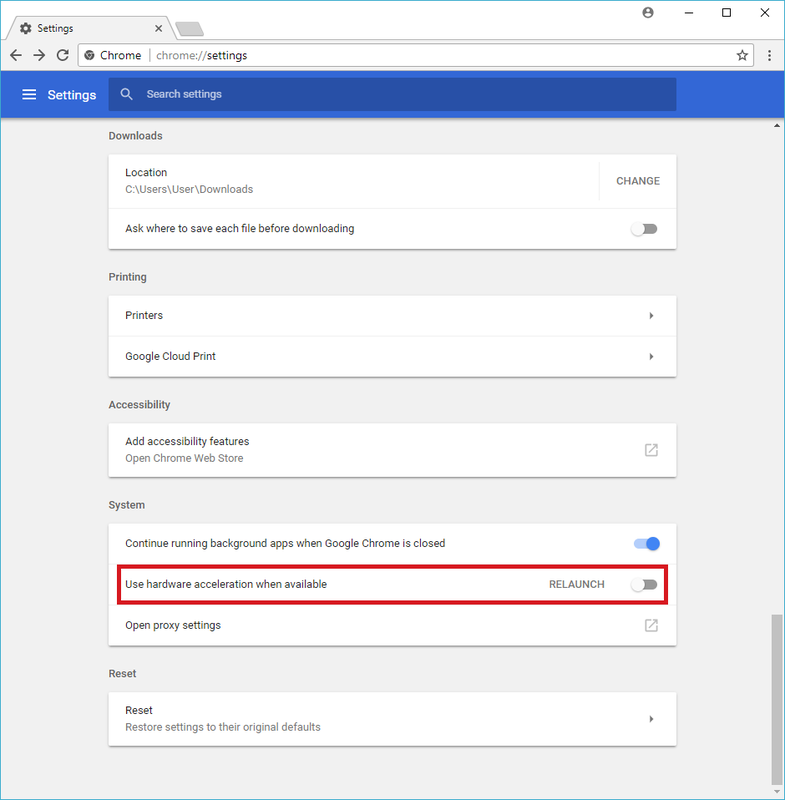 You can check this in Google Chrome under Settings | More tools | Task manager. Look for the GPU Process entry. If the memory usage is very high, try one of the workarounds. There are two options get around this issue. Please try the first option if you can use a different browser. If you cannot use this approach, try the second one. We recommend that you use Mozilla Firefox because it does not have this memory leak issue. Scroll down and choose Advanced at the bottom. Scroll down to section System. 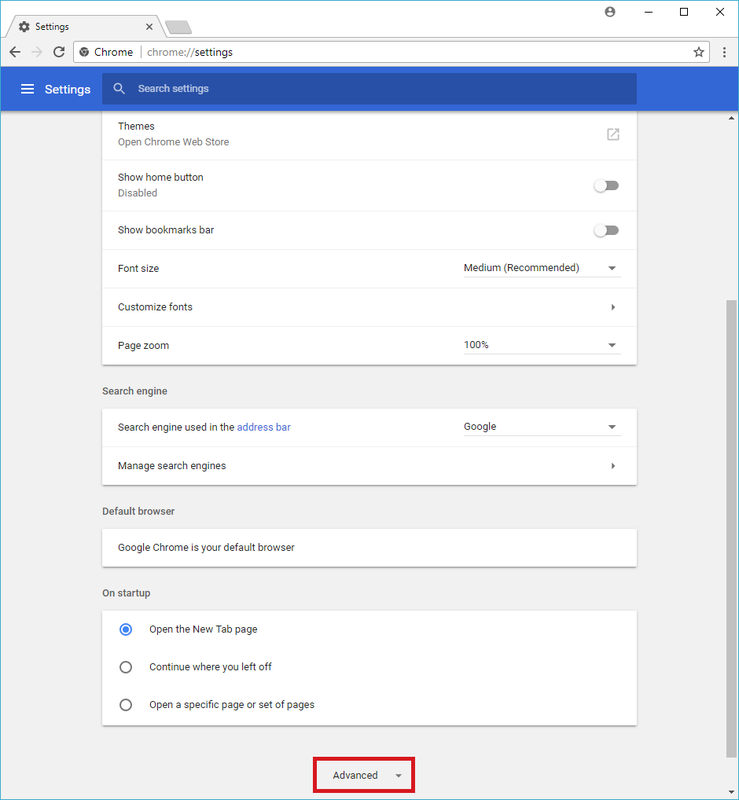 Relaunch Google Chrome and open your PRTG maps again. This workaround will not solve the issue completely. Disabling hardware acceleration may only help to a certain extent.